Asthma is a nightmare for people suffering from respiratory disorders due to various factors such as environment pollution, pets etc. Being an asthmatic you may have come across people talking about the benefits of taking fish oil. If you have never tried it or are planning to add it in your routine diet, then it is good to gain some extra knowledge before forwarding. Does Fish Oil Help Asthma? 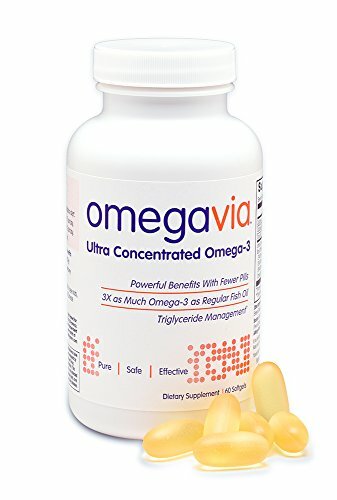 How To Take Fish Oil And At What Time? Fish oil as the name suggest, is a fat or oil which is extracted form fish or fish tissue. The oil is most of the times extracted from the tissues of oily fishes (like tuna, herring, mackerel, sardine, salmon and others). However it can also come from the livers of other types of fishes. Fish oil is generally made up of omega-3s (about 30%) and other fats (70%). Some of them may also contain traces of vitamins. It is the various types of omega-3s (EPA and DHA) present in fish oil, which is responsible for providing all the health benefits. According to World Health Organization (WHO) recommendation, it is good to get these omega-3s through your daily diet as it helps in protecting your body against many diseases including western lifestyle diseases. In addition to above, taking fish oil also proves helpful for pregnant women and women suffering from infertility issues. Although there are not many concrete evidences to prove that fish oil can alleviate asthma symptoms, various studies and clinical trials revealed that Omega-3 found in fish oil are able to cure or control the effects of asthma symptoms significantly in many patients. According to medical researchers taking dietary supplements like fish oil can be good for lungs and asthma troubles, however these supplements should not be used in place of asthma medicines prescribed by your doctor. The study also proved that when patients take fish oil (rich in omega 3 fatty acids and 17-HDHA) with their daily diet regularly, they can actually lower down the need to take medicines for severe asthma attacks frequently. Patients suffering from bronchial asthma can therefore go for a change in their diet by directly taking fish oil or adding more fish in to their daily diet. If you are suffering from breathing problems like asthma it is good to talk about it with your physician and bring changes in your diet by adding fish oil, thereby reducing the intake of medicines for asthma and its side effects. Fish oil supplements for asthma and allergy patients are now available online to buy at best price. However as there are dozens of brands to choose from, it sometimes become tough to choose that is best reliable and trustworthy. Below we review the best fish oil supplement brands for you. You can check them out and pick one based on your needs and preference. 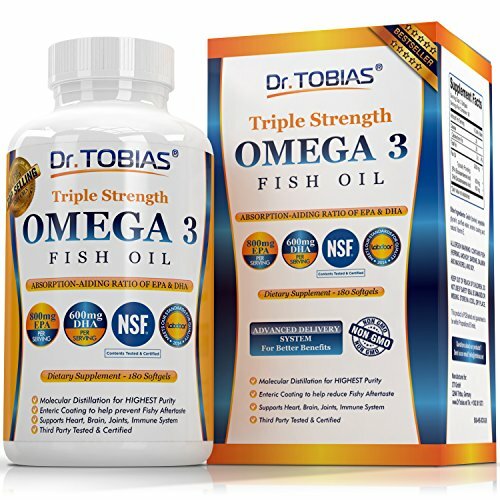 Dr. Tobias Fish Oil is one of the best recommended fish oil in the market that supports your overall health. This is a 2,000 mg Fish Oil which comes with 1,400 mg Omega-3 Fatty Acids (600 mg DHA, 800 mg EPA) per serving of 2 caps. This organic fish oil is purified with molecular distillation process and is third party tested for purity & safety. It comes with an enteric coating that ensures better absorption of essential fatty acids. Also it avoids fishy aftertaste so that you can enjoy the best health benefits without any fish burps. 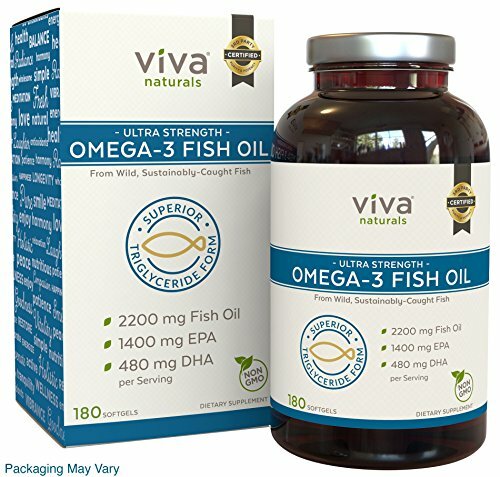 According to Viva Naturals Fish Oil reviews present online, this is again one of the most trusted brand you can rely on for your day to day health and improved metabolism. The omega-3’s in these natural fish oil tablets are concentrated using supercritical extraction method (without using heat or chemicals) which delivers the most purified form of the capsules that are completely safe for humans. Furthermore the omega3’s in Viva Naturals Fish Oil are delivered in triglyceride form and are therefore easily available for your body use. Each daily serving of this fish oil provides you 2,200 mg of fish oil (with 1,400 mg of EPA and 480 mg of DHA). At last these premium quality fish oil supplement capsules are free from toxins and heavy metals which ensures no fishy aftertaste or burps. 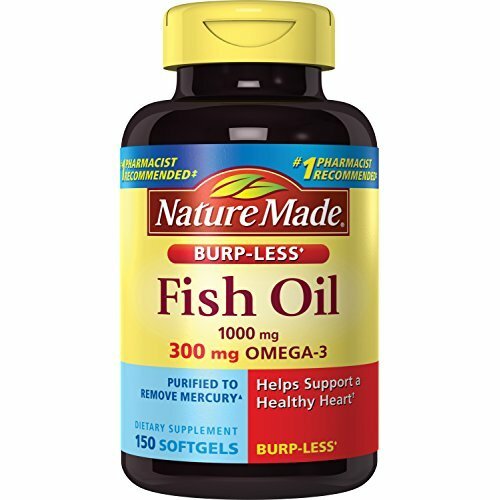 Nature Made burpless fish oil 1000 mg is our next recommended fish oil for men and women. Made with best organic ingredients under strict manufacturing processes these provide 500 mg of EPA and DHA omega-3 fatty acids which is most essential to your body in all seasons. These contain no added color, preservatives, artificial flavors, yeast or starch. These fish oil supplements are specially coated to help prevent fishy odor and aftertaste. Not only it is good for your lungs but also it promotes heart health when taken regularly. Nature’s Bounty health products are being used and trusted by people for decades due to the high quality and purity they offer. 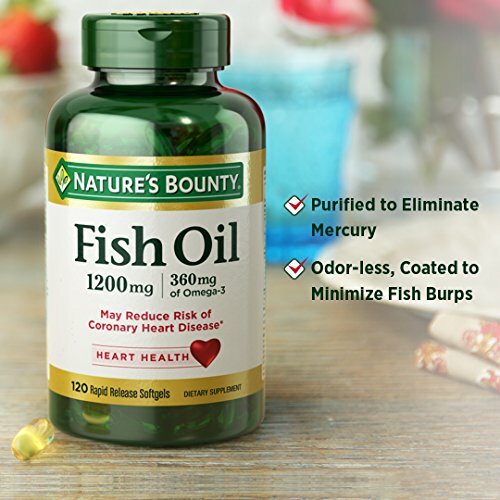 When it comes to Nature’s Bounty Fish Oil 1200mg softgels, it contains 360mg of Omega-3s (in the form of essential EPA and DHA) which are essential for your daily body needs. Not only has this odorless supplement formula helped in supporting cardiovascular system but also the respiratory health for people who have poor lungs. Thanks to its pure and natural quality you can use the supplements daily for your overall health without any risk. 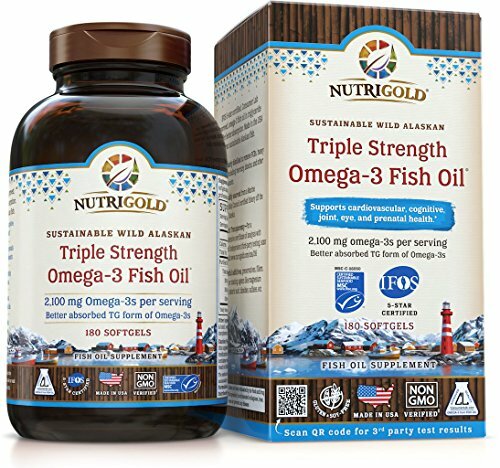 Nutrigold triple strength omega 3 gold is another great product you can choose for your daily health. These premium omega-3 fish oil supplements contains minimum of 80% omega-3 concentration in triglyceride form which is good for your overall health. These Nutrigold fish oil supplements are made with IFOS 5-Star Certified fish oil which is non-GMO verified, corn-free and gluten-free. You can take two softgels per day as one serving which provides 2,100 mg of pure Omega-3s in highly absorbable triglyceride form. The highly concentrated omega-3s is provided in 3:1 EPA to DHA ratio (1,450 EPA, 550 DHA, and 100 Other Omega-3s). You can take these capsules daily if you need higher levels of Omega-3s through your diet. OmegaVia fish oil capsules comes with ultra-high 1105 mg omega-3 in just single pill. If you need high content of omega-3s you can take these tablets after consulting with your doctor. Developed by using the most advanced purification technology which is better than molecular distillation process, these IFOS 5-star certified pure organic fish oil pills comes with plant-based enteric coating which for reduced odor and enhanced digestive comfort. 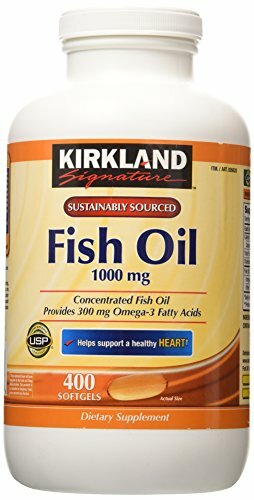 The fish oil supplement manufactured by Kirkland Signature contains no artificial flavors, colors, yeast, starch or gluten. The molecular distillation method used for removing PCBs and dioxins ensures the purity and potency of the product which you can trust. These high quality capsules contains fish oil which is extracted from fishes (like anchovy, herring, salmon, sardine and sprat) from deep ocean waters and not farm-raised. These are therefore completely safe to take daily for your overall health. While all the fish oil supplements mentioned above are good to take, there are certain factors which you may need to check while buying. Freshness and purity of the product is the most essential thing to look at. As omega-3 fatty acids are prone to oxidation, it is essential to check that the product comes with date and is not expired. Also check that the pack is sealed properly. It is advisable to choose a supplement that contains an antioxidant like vitamin E and is third party tested to assure the purity. When not in use store your supplements at cool place away from light (like in refrigerator). Even though fish oil is loaded with great many benefits it can prove risky due to side-effects you get when taken in excess quantities. Excess intake of fish oil may show problems like nausea, stomach upset, belching, bad breath, etc. If you new to taking fish oil, you can also experience frequent fish burps as it is sometimes difficult to digest. People who are prone to allergies while consuming seafood can also suffer problems such as hives and swelling. Excessive intake of fish oil is also found to be hazardous for pregnant women, children and people suffering from conditions like cancer, diabetes, liver problems, etc. To avoid all these side effects it is important that you consume the fish oil after consulting with your doctor in only recommended quantity. Fish oil can be consumed in various forms which includes consuming an oily fish directly by roasting, grilling, frying, smoking, etc. If you do not like eating fish, you can also consume it as concentrated dietary supplements which are available in the form of capsule, pills, soft gels, liquid, etc. What time of day to take fish oil? As such there is no set time that can be said best for taking fish oils, as long as you are taking it with your meals. Especially when you are taking fish oils in supplement form, care that you do not take it on an empty stomach. It is best to take these supplements during or after your high fat meals. It is best to set a routine and take it accordingly on a regular basis (may be during breakfast, lunch or dinner). Pick a time that is most suited for you and stick with it! Whatever form you choose, be sure to consult with your doctor to know the overall need and dosage in your daily diet. Based on your health condition and age your doctor may recommend the right dosage you may take daily. The proper dosage is actually based on the amounts of omega-3 fatty acids (EPA and DHA) and not the amount of fish oil. Combined it may be anything between 0.2–0.5 grams. Fish oil supplement that provides at least 0.3 grams (300 mg) of EPA and DHA per serving is found to be a good option for most of the people. Note: Although fish oil is a good source of omega-3 fatty acids, it should not be replaced with vegetable oils (as some of the health experts suggest doing) in order to supplement your daily needs.